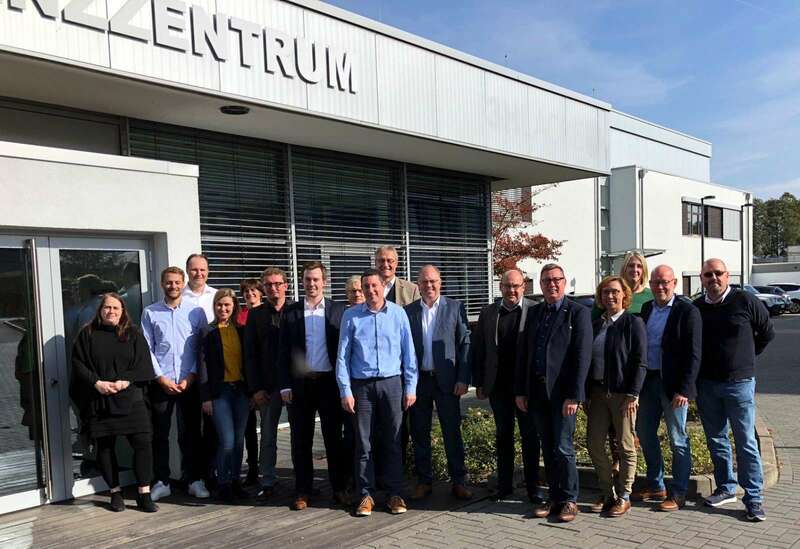 At the network meeting of the servicepoint A30 the host was called remmers at the beginning of October. 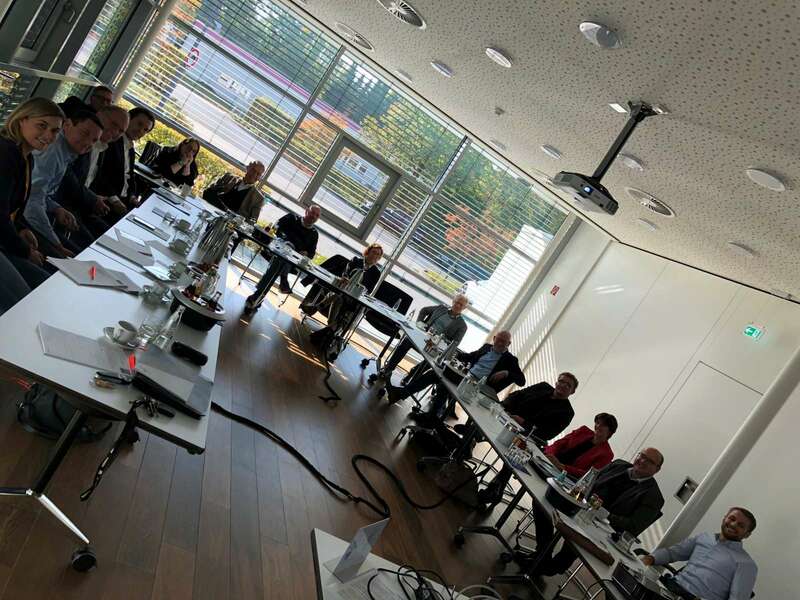 The coating specialist invited the network partners to its competence center in Hiddenhausen, East Westphalia. The partners of servicepoint A30 in front of the main entrance of the remmers competence center in Hiddenhausen. The regular meetings of the servicepoint A30 offer the participants the optimal platform to discuss planned activities and events of the network and to decide topics. At remmers the partners among others decided also content and speakers for the upcoming “short process”. The technical event will take place next on 14th February at servicepoint A30 at the TRENDFILTER in Bünde. The focus will then be on information on standards and standardization for the furniture industry and a look at the new tool generation. A presentation on environmental certifications at German and European level as a valuable sales tool in retail rounds off the event program. As usual, all partners will have enough room for networking. “Today we have a different network than we did five years ago: our exclusively active members are exemplary in promoting networking and want to make a difference together, which of course is crucial to the effectiveness of the collaboration and the joint projects”, emphasizes TRENDFILTER head Katrin de Louw. 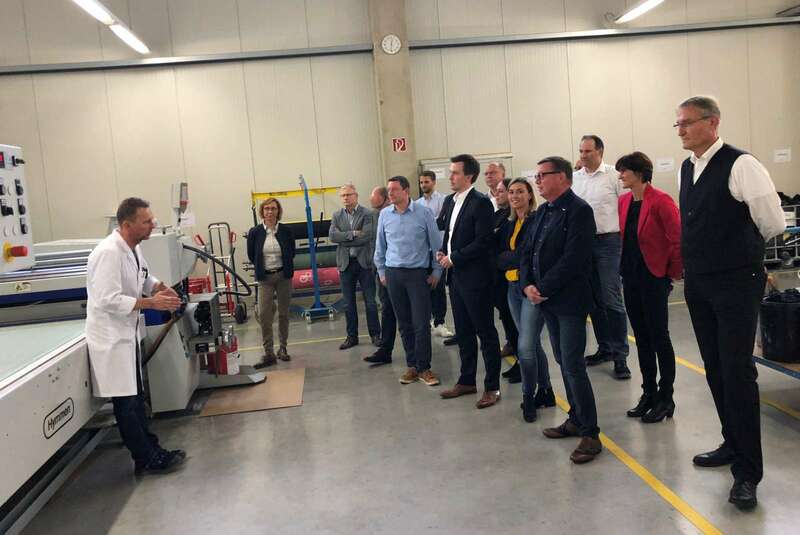 Following the meeting, the company invited Remmers to a tour of the technical center and presented its competences in surface finishing, ranging from spraying, rolling to digital direct printing. The next network meeting will take place at Conal in Hüllhorst.